For me, 2017 was a year marked by change. Some significant chapters in my life closed over the past year, while new ones began. It was a year where I accomplished a lot, but also failed to meet many of my goals. It was a year that gave me more to reflect on than any year in the past decade. In 2017, Matt Herring and I ended a twelve-year run of the Secret Identity podcast. When we started the show in March of 2006, most people didn't know what a podcast was. Since then, we've created 2000 hours of programming, interviewed hundreds of comic creators and made some of the best friends we will ever make in our lives. Without Secret Identity, I would never have been a game journalist or a writer, and I would not have the job I have today. Which brings me to the second major change of 2017--I got a new job. I had been with the same organization for seventeen years until I left this year, and it was a job I could have retired in. 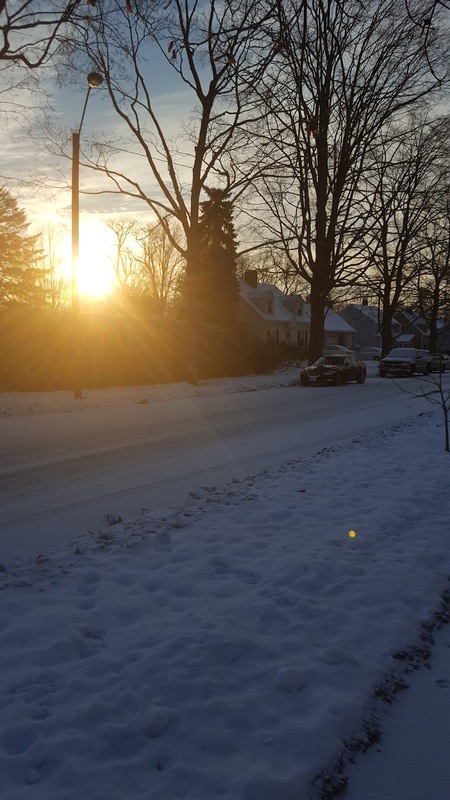 But I wanted to do something that provided me an opportunity to make a positive impact, as well as use my creative skills, and so I left my old job for a new adventure. While it's only been two months since I changed careers, I know with all my heart it was the right decision. There were other changes in my life as well, and it often felt like my life over the past year was in flux. That may have been one of the reasons that I did not meet my creative goals for the year. The two projects that I really wanted to get out in 2017 were the second book in the Woodsview Murders series (Haunted) and the fourth book in the Parted Veil series (Lovecraft's Trial). Both of those books top my priority list for 2018, though there are several other projects that could also see release in the upcoming year. I did make stuff this past year, though! 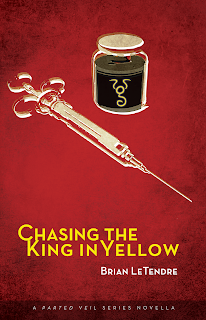 I released a new entry in the Parted Veil series--a novella called Chasing the King in Yellow. 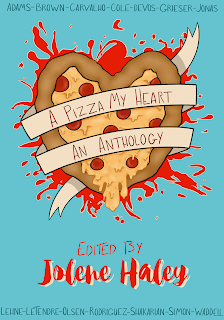 I had a short story published in the A Pizza My Heart anthology, which features a character in the upcoming Orchard Pointe series I'm writing with Jolene Haley. 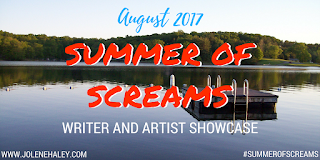 I also wrote a short story for Jolene's Summer of Screams event called "The Boathouse," and it's one of my favorite short stories I've written to date. You can read "The Boathouse" for free right here. And on the podcasting front, Matt Herring and I launched a brand new show called the Power Chords Podcast. As the name implies, this is a music-focused show, where Matt and I discuss our love of 80s rock and metal on a twice-monthly basis. We just released our "Best of 2017" show, which you can listen to in the player below. I also co-host the Thrash It Out podcast with Antony Johnston, and we just posted our latest episode of that show as well, featuring the 2012 Huntress Album, Spell Eater. So, while I did not meet all of my creative goals for 2017, I did have a productive year, all things considered. I'm extremely excited about jumping int 2018, because I finally have my feet back under me, and I can start establishing my creative routines again. 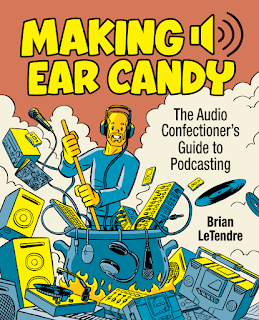 In addition to getting the Parted Veil and Woodsview Murders books out in 2018, I plan on returning to the See Brian Write podcast as well. Happy New Year! Here's to 2018!